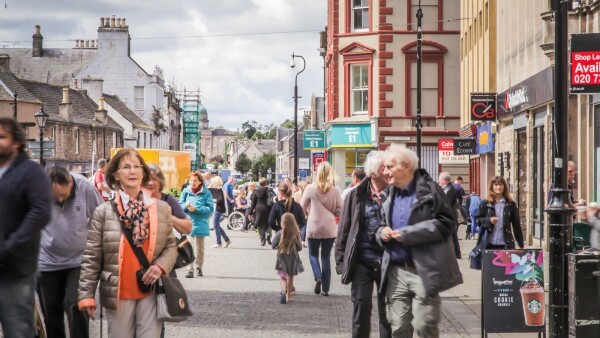 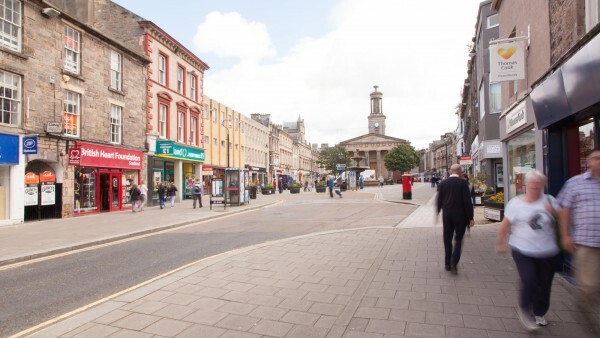 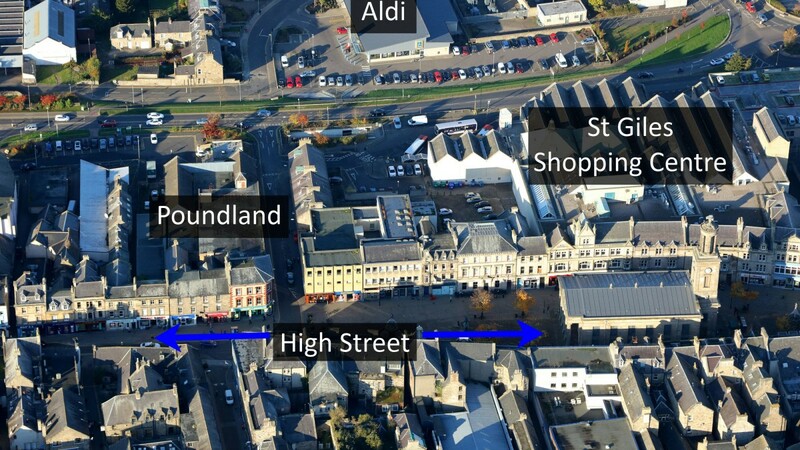 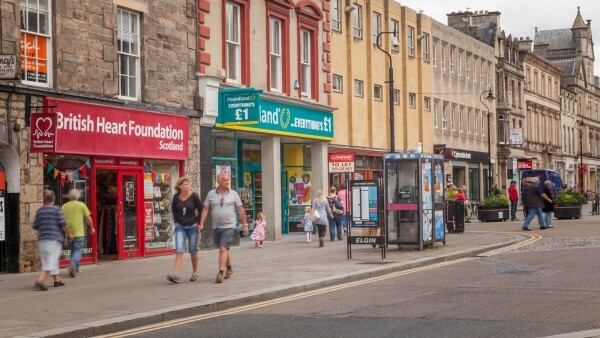 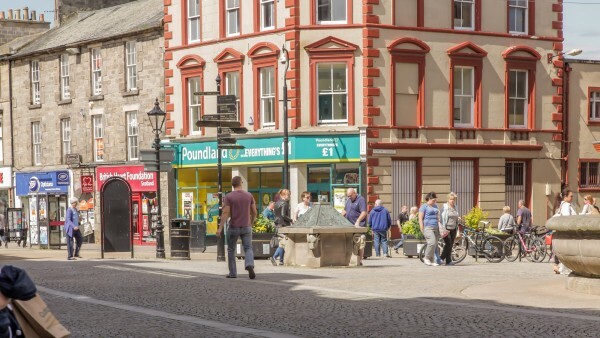 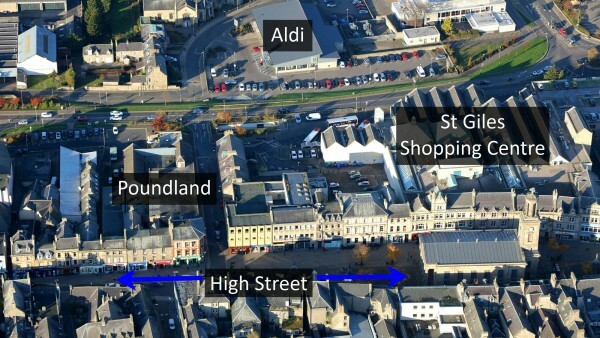 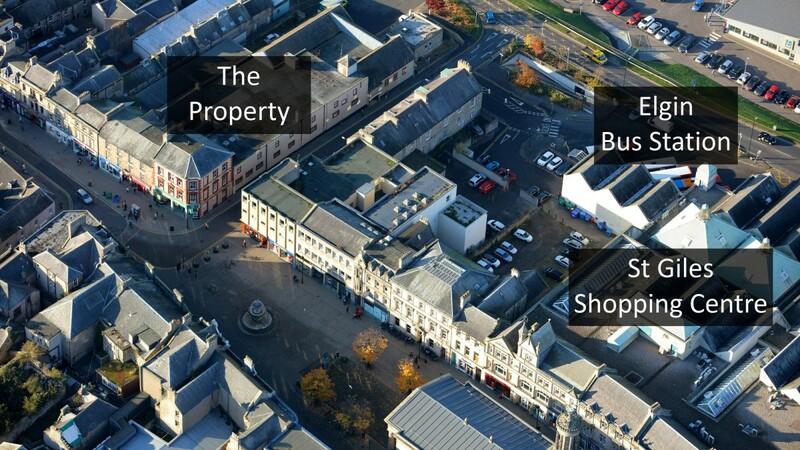 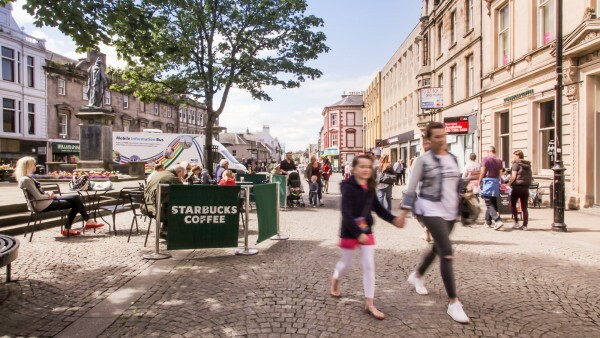 The subject property occupies a prominent corner trading position on the edge of the pedestrianised section of High Street, Elgin’s principal retail thoroughfare, at the junction with North Street. 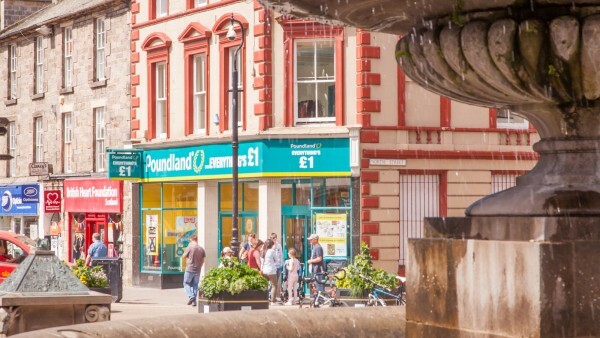 Surrounding occupiers include Clydesdale Bank, Holland & Barrett, Boots, H Samuel, Starbucks, Burton, Santander, Clarks and TK Maxx. The property is prominently situated in close proximity to the entrance to the St Giles Shopping Centre which offers a wide range of established retailers and small specialist outlets all under one roof. 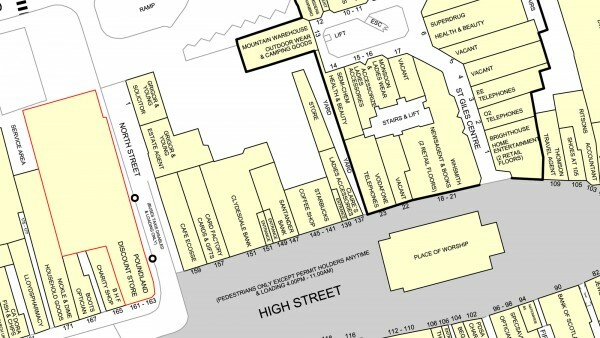 Tenants include Superdrug, WH Smith, Mountain Warehouse, Argos, O2, Monsoon, Vodafone and Subway. 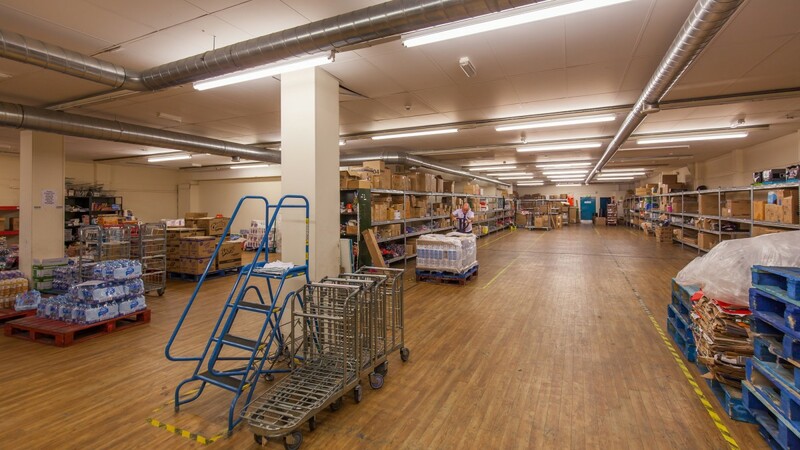 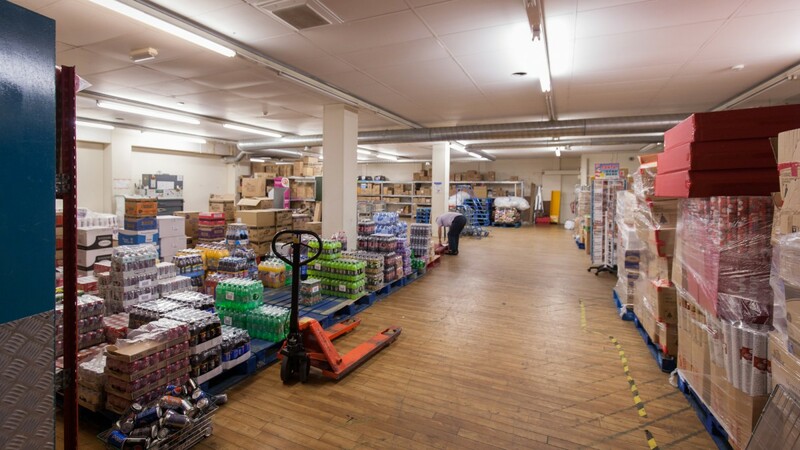 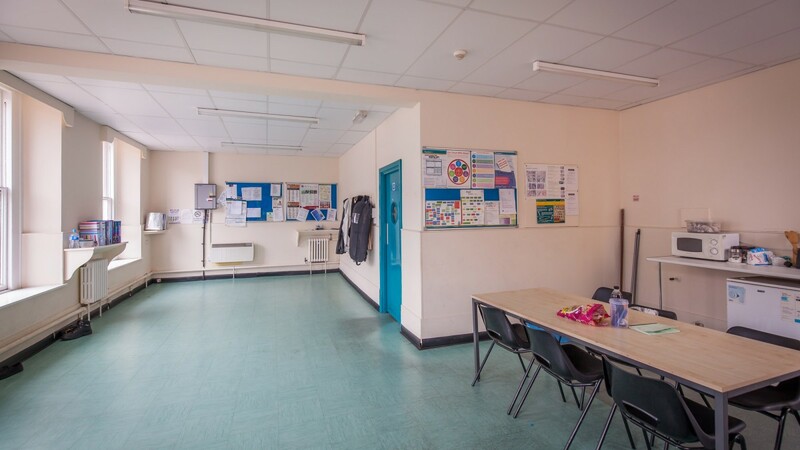 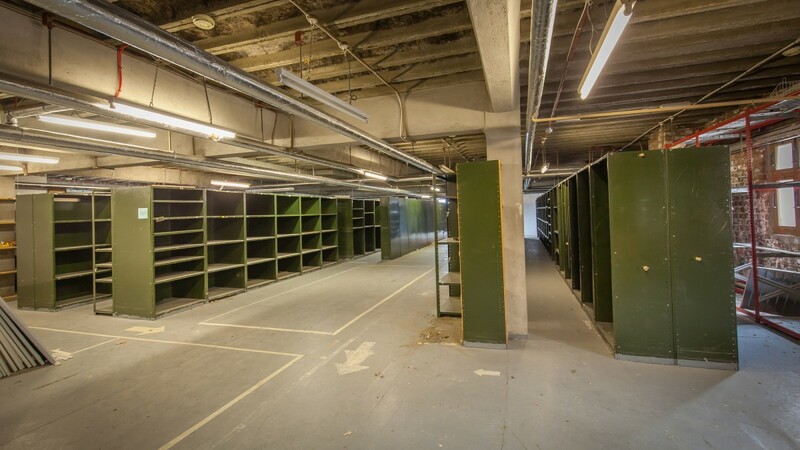 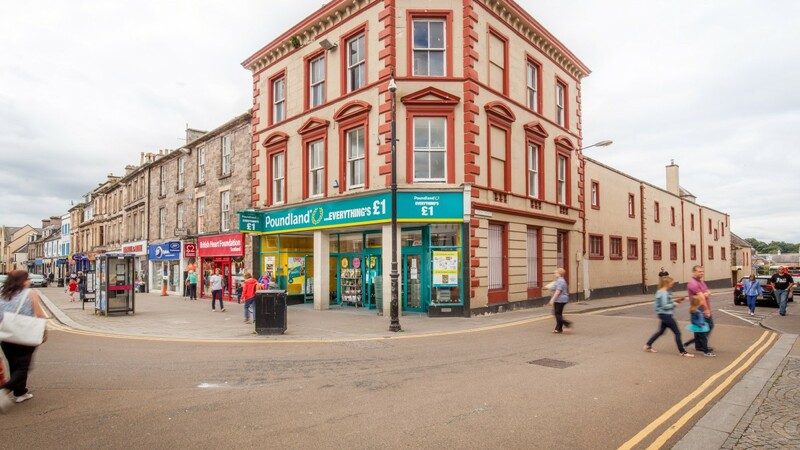 The property is arranged over ground and two upper floors, plus an attic, to provide a retail unit on ground floor with ancillary accommodation at the rear of the ground floor and ancillary accommodation on first floor. 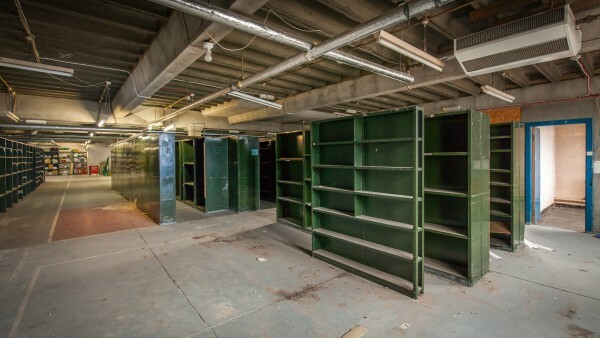 The second floor and the attic have been sealed off and are therefore unused. 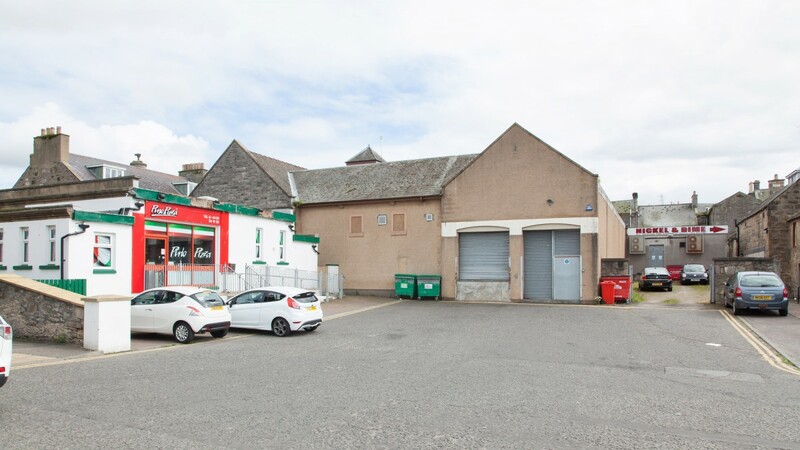 Externally, the property provides extensive return frontage onto North Street with a goods entrance to the rear of the property which is accessed from Alexandra Road. Internally, the unit has been fitted out to the tenant’s usual corporate style. 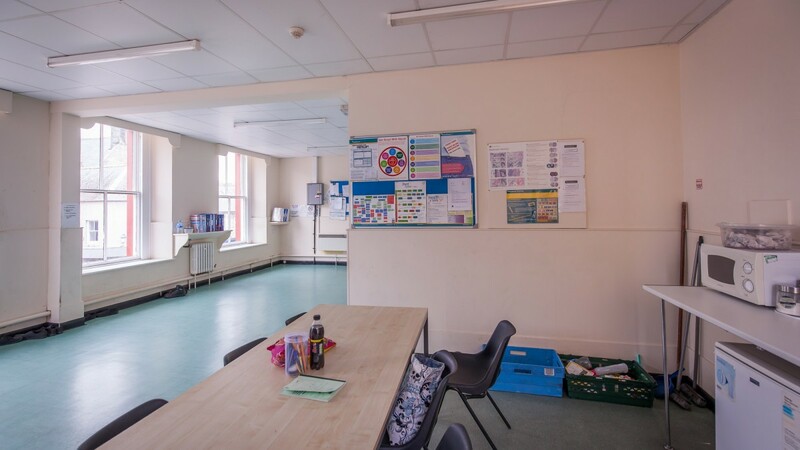 There is a minor Schedule of Condition relating to the second floor and the attic. A copy is available to download from the legal package in the data room. 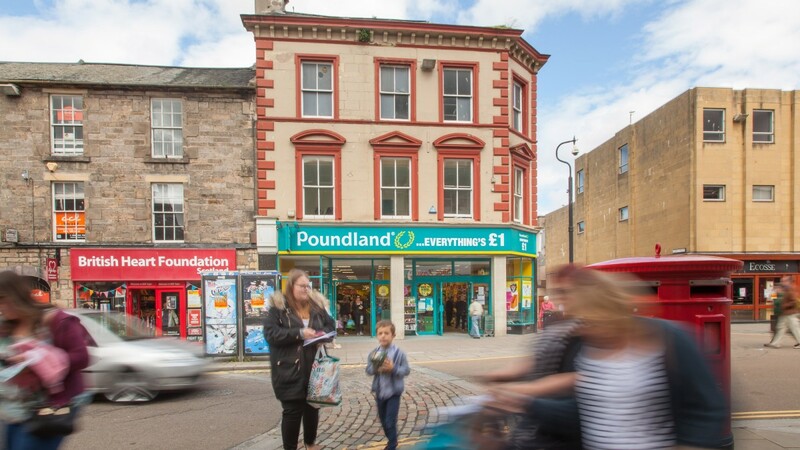 The property is entirely let to Poundland Limited on an effectively Full Repairing and Insuring lease for a term of 16 years from 29th September 2009, expiring on 15th November 2025. 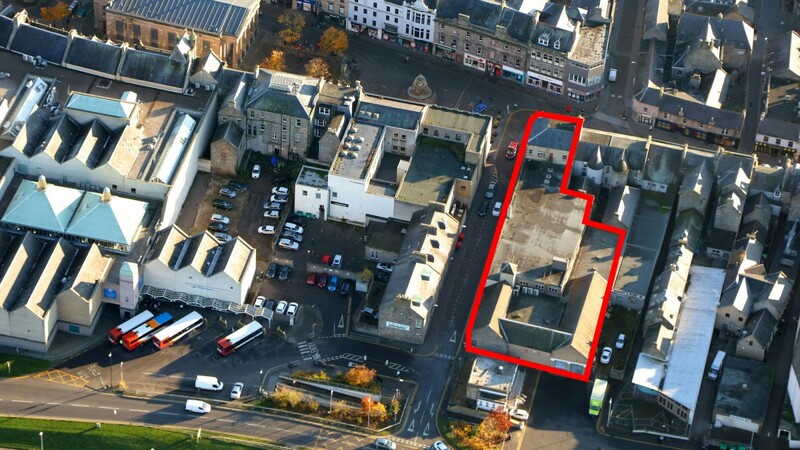 Therefore, the unexpired lease term is over 9 years. 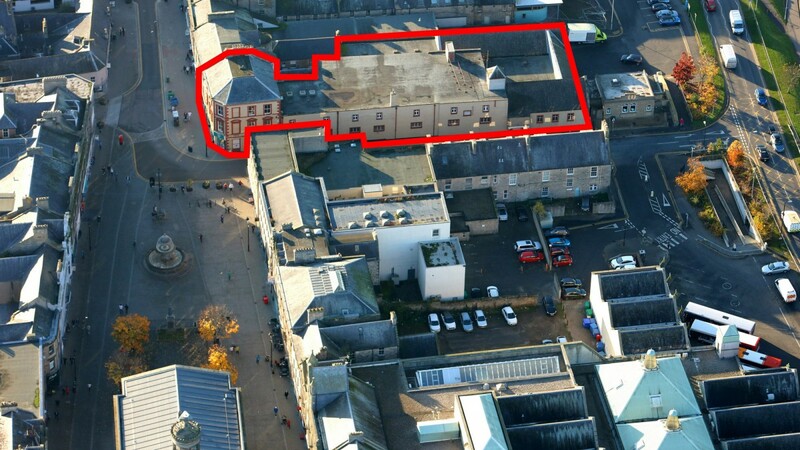 The current passing rent is £80,000 per annum which equates to only £45.60 per sq m / £4.23 per sq ft on the usable floor area. 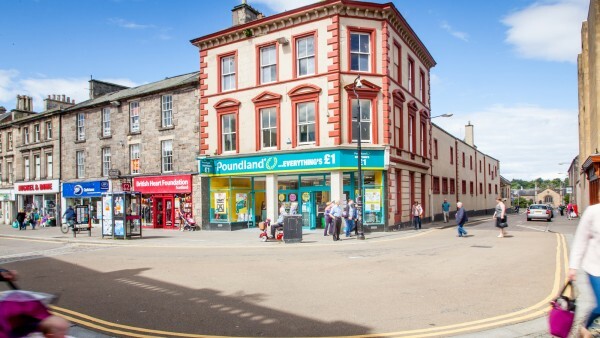 The lease benefits from five yearly upwards only rent reviews. The next rent review is on 29th September 2020. 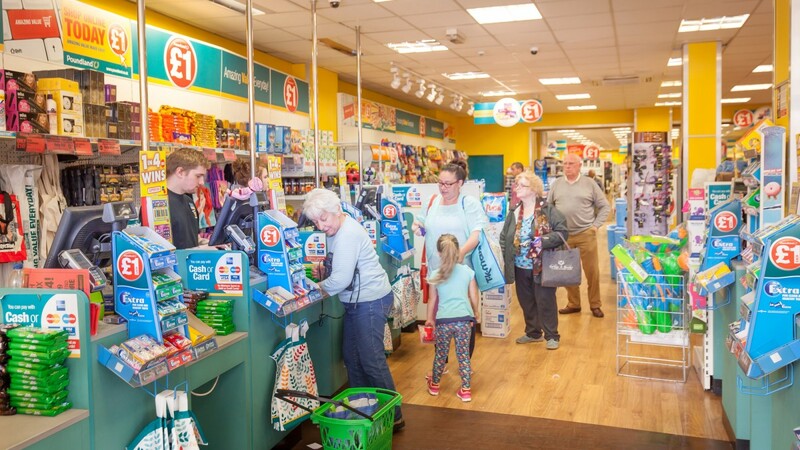 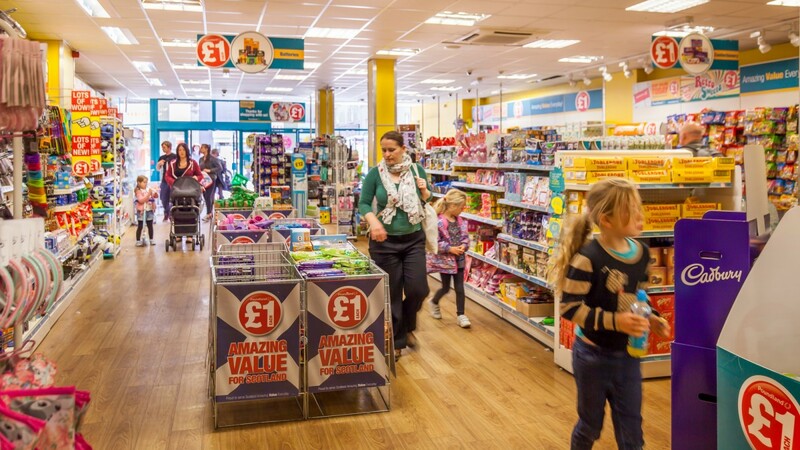 The principal activity of the company is that of a single price value retailer, with over 850 branches in the United Kingdom and 50 in Ireland. 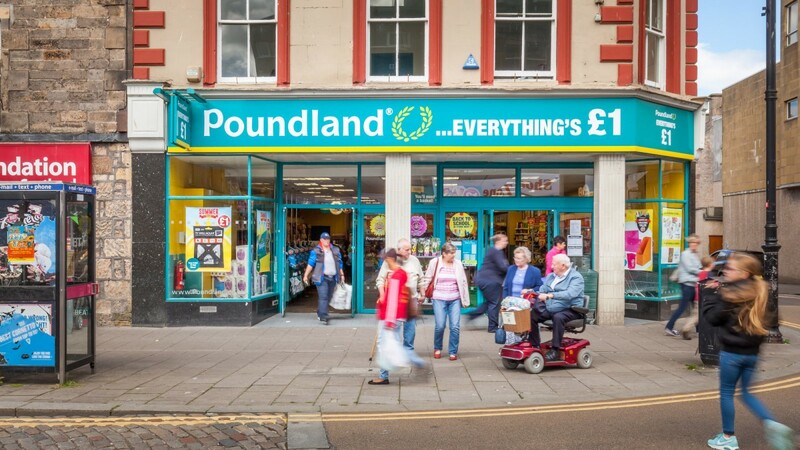 For further information visit www.poundland.co.uk. 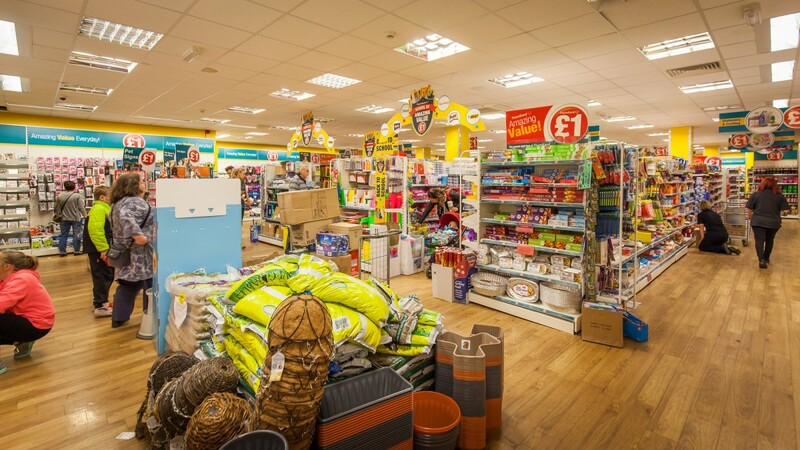 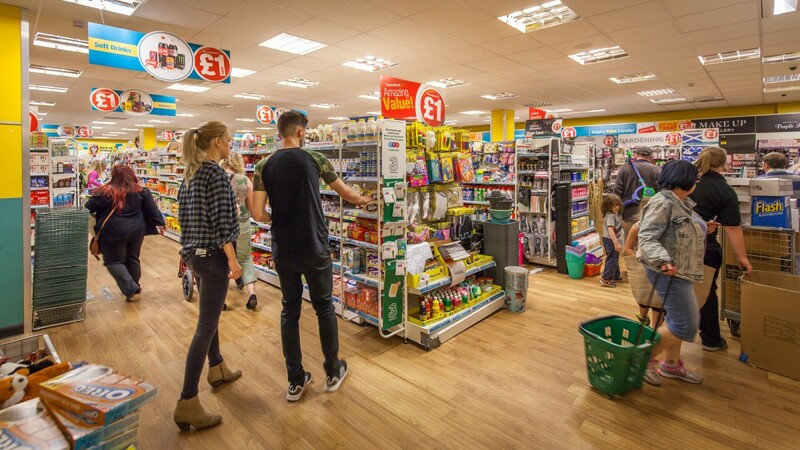 It was reported in July 2016 that Poundland had recommended a £597 million takeover to its shareholders by the South African retail conglomerate, Steinhoff Europe AG, which also owns Harveys and Bensons for Beds in the United Kingdom. The deal is due to be completed during September 2016. Steinhoff International, the parent company, was listed on the Frankfurt Stock Exchange in December 2015 with a market capitalisation of 19 billion Euros. The property has been elected for VAT. 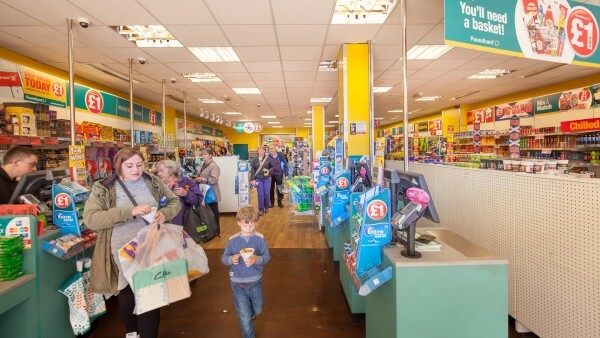 The sale will be treated as a Transfer of a Going Concern (TOGC). Our client is seeking offers of £850,000 (Eight Hundred and Fifty Thousand Pounds), subject to contract, reflecting a net initial yield of 9.0%. The property provides an investor with an attractive lot size.